We also offer training at our Southwark campus in the heart of London. If it's more convenient, we're able to accommodate you at our Havering campus situated in Harold Wood, Essex. 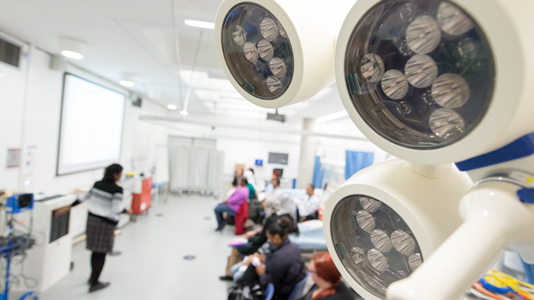 Our multi-million pound health and social care facilities at our Southwark campus host a suite of sophisticated skills laboratories featuring many of the latest healthcare innovations. The laboratories are the ideal place to practice clinical skills in an environment which accurately recreates hospital and community situations. 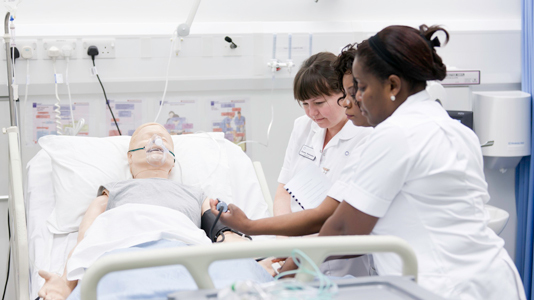 The nursing wards have simulator mannequins: SimMan, Sim Junior, SimBaby and SimMom. These life-size mannequins are computer controlled and can be programmed with various clinical conditions. 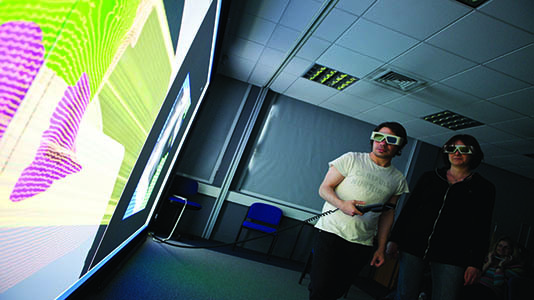 These are operated by a computer in real-time and so respond to a student's actions. They also allow students to see the outcome of specific interventions in certain scenarios. The Virtual Environment Radiotherapy Treatment lab (VERT) is a sophisticated virtual environment of a radiotherapy treatment room. Through captivating 3D views and life size visualisations, VERT is an excellent platform for supplying therapeutic radiography training to students. 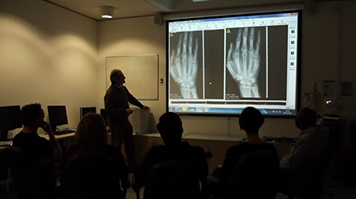 Radiography students at LSBU benefit from Fujifilm D-EVO suite, a diagnostic radiography X-ray facility. D-EVO Suite has a ceiling support which is ergonomically designed to provide the radiographer with lighter, smoother movement for faster, more efficient workflow. 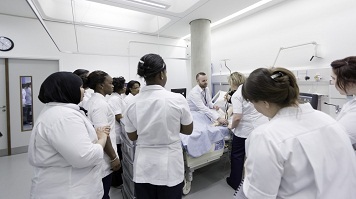 The operating theatre and critical care skills laboratory gives Operating Department Practice students at LSBU a truly lifelike experience. Students rotate between different "skills stations" to get hands-on experience of various technical aspects of theatre education in a safe environment.